Karthik Sridharan is the Founder & CEO @ Kinnek, the platform which empowers small business owners to take control of their purchasing operations. 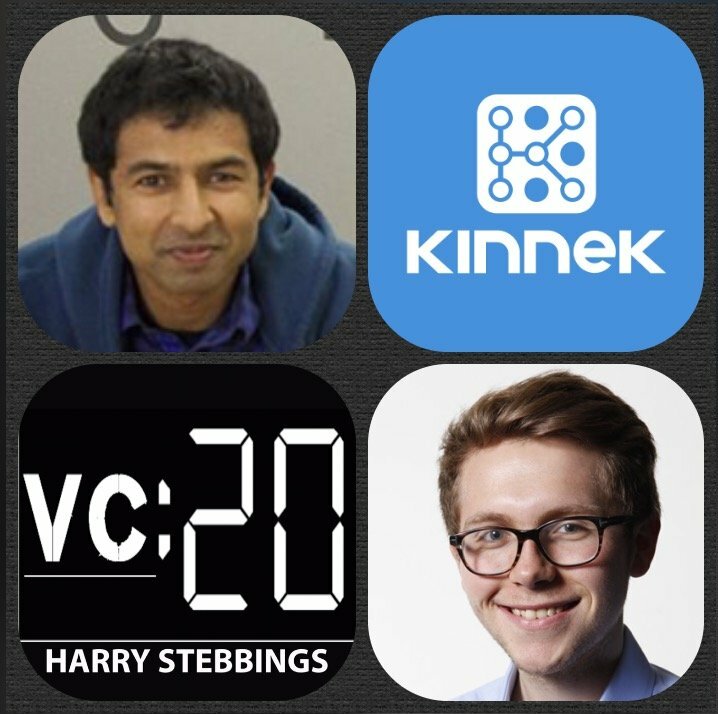 Kinnek have been crushing it lately and have raised funding from some of today’s leading investors including Matrix, Thrive, Version One, Naval Ravikant and many more incredible names. As for Karthik, prior to Kinnek he was the lead architect of research systems at the hedge fund, AQR and before that spent time at the likes of JP Morgan and Merril Lynch. 1.) How Karthik made the transition from hedge funds to founding Kinnek? 2.) How does Karthik view market networks as opposed to marketplaces? What are the differences and where would he position Kinnek? 3.) Is GMV the sole metric that marketplace founders should focus on? How does GMV affect Karthik’s few on take rate, transaction size and frequency? What other metrics should marketplace founders be measuring themselves against? 4.) How does Karthik view the competitive landscape with the likes of Alibaba in the space? Is expansion into Asia part of upcoming plans for Kinnek? How will Karthik approach that? 5.) Kinnek has raised funding from the likes of Thrive, Matrix and Version One. How did Karthik find the fundraising process? What did he do well and what would he improve on for the C round? As always you can follow Harry, The Twenty Minute VC on Twitter here! Angelloop is the leading post funding management platform for private market investors and their portfolio companies. They help investors manage and track their portfolio companies on the cloud while providing them with access to their investments performance data. Angelloop helps founders of startups track their performance, manage their cap table and keep their investors in the loop. Investors get free access while their portfolio companies pay only $49/Month. Use or share the promo-code 20MinVC to get your portfolio companies online with a two month trial. This episode was supported by Wunder Capital, the leading online investment platform that allows individuals to invest in large scale solar projects across the U.S. Wunder’s solar investment funds allow you to earn up to 11% annually, while diversifying your portfolio, curbing pollution and combating global climate change. Do well by doing good and sign up for a free account here and join the thousands of people that are already achieving their investment targets.